Will your child be fair, graceful, or woeful? 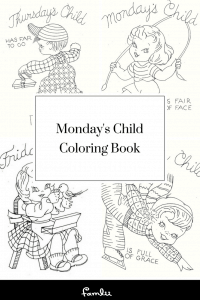 Is your baby a Monday’s child? Tradition holds that you can predict your child’s temperament based on the day of the week they were born. Enter the Monday’s Child Poem. Fortune telling rhymes based on the weekday of birth originated in England around the 1500s. Many superstitions existed regarding the days of the week. 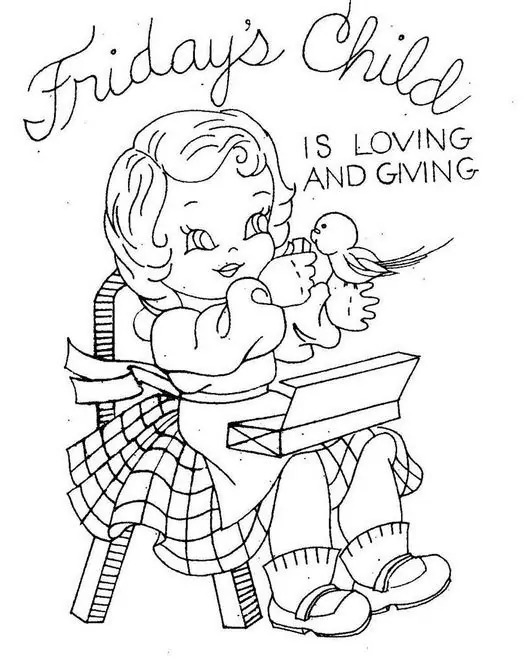 The fortunes, personalities, and temperaments of children were considered regulated by their weekday of birth. 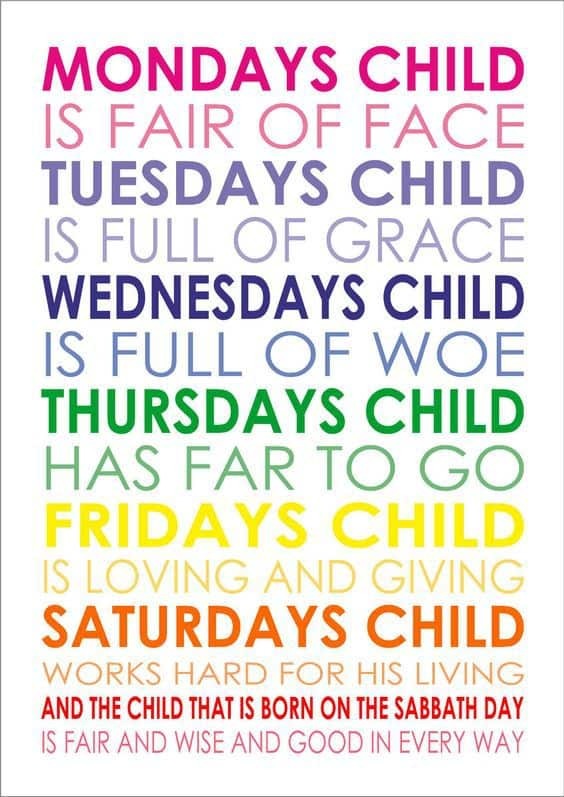 What Day of the Week was your Child Born? Find your child’s weekday of birth with our handy online calculator. Monday’s Child poem is an old English nursery rhyme poem first recorded in 1838 Traditions of Devonshire. 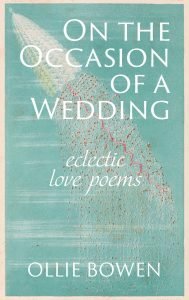 Numerous versions of the poem exist, with both positive and negative connotations associated with each day. 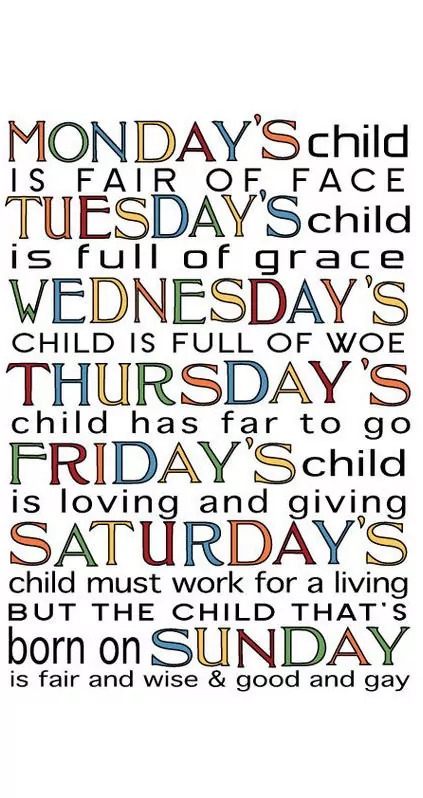 Rather than a literal interpretation, the Monday’s Child poem is best used as a song to help young children learn the days of the week. Click here to download a pdf printable of The Monday’s Child Nursery Rhyme. 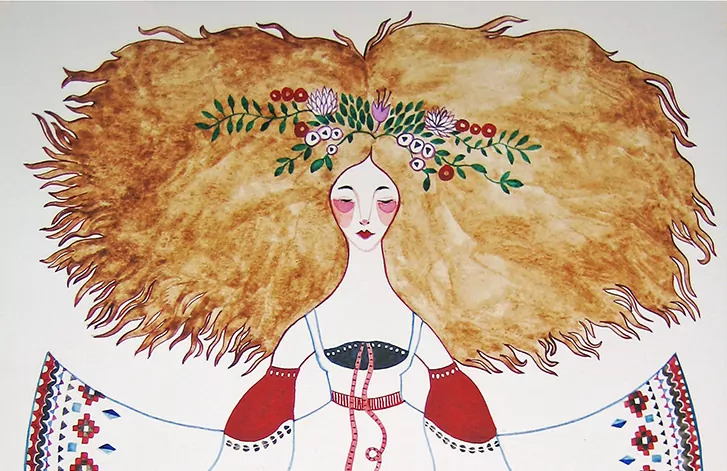 The Woodcutter Family in the 2002 book Enchanted by Alethea Kontis centers around sisters named for each day of the week based on the poem. Monday children are associated with pleasing beauty, although modern interpretations sometimes depict Monday’s children as shallow, vain, and flighty. It’s a popular name for children’s clothing boutiques. Tuesday children are associated with manners, elegance, and refinement. Modern interpretations associate Tuesday’s children with faith and purity, as in Contemporary Christian Musician Stephen Curtis Chapman’s Song, Tuesday’s Child, which is also based on the poem. Wednesday children are associated with emotional empathy. They feel the weight of the world, with a caring and compassionate outlook, often to the point of sadness for others. 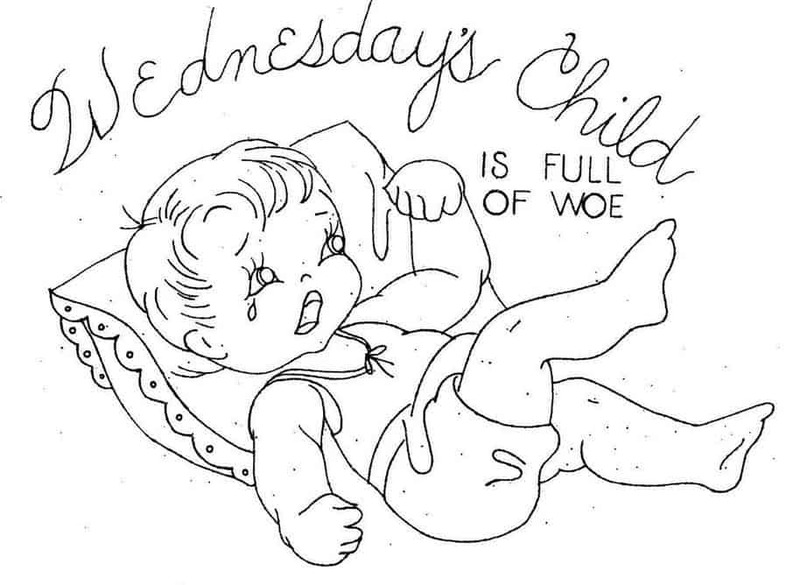 Grim and gloomy Wednesday Addams from the Addams Family Television Series optimizes a Wednesday’s child. Modern uses associate with the term with children in foster care and from broken homes. Thursday children have a long, successful life ahead of them. 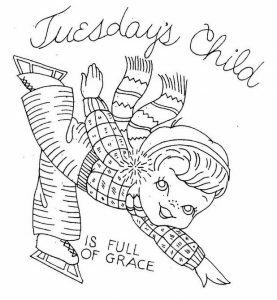 So What Does Thursday’s Child has Far to Go Mean? 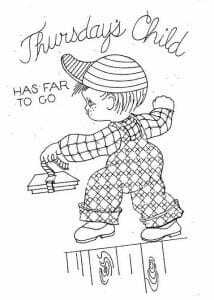 Sometimes, “far to go” is interpreted as meaning a difficult path, such as children with special needs. However, traditional versions focus on the concept of positive abilities and talents that will take them far in life, rather than attributes to overcome. 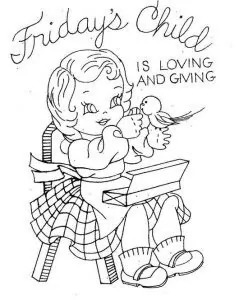 Friday children are big-hearted and generous. However, in many traditional versions, anything on a Friday was held as bad luck. 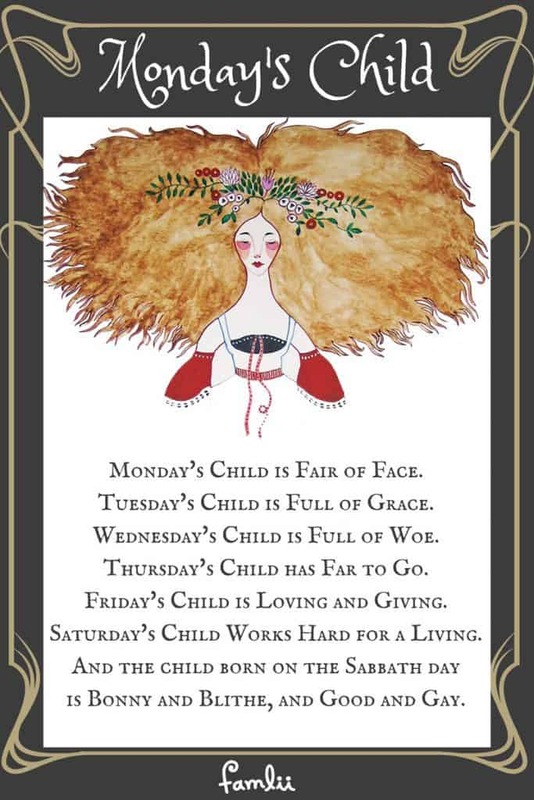 In the 1887 version of Monday’s Child published in Harper’s Weekly, it is Friday, not Wednesday, associated with the child “full of woe.” This most likely reflects the Christian association with Friday as the day of the Crucifixion. In the original Star Trek series, the episode “Friday’s Child” involves Captain Kirk on a mission to save the life of an unborn child. 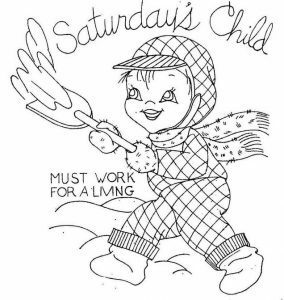 Saturday children are hardworking, responsible, and dedicated. 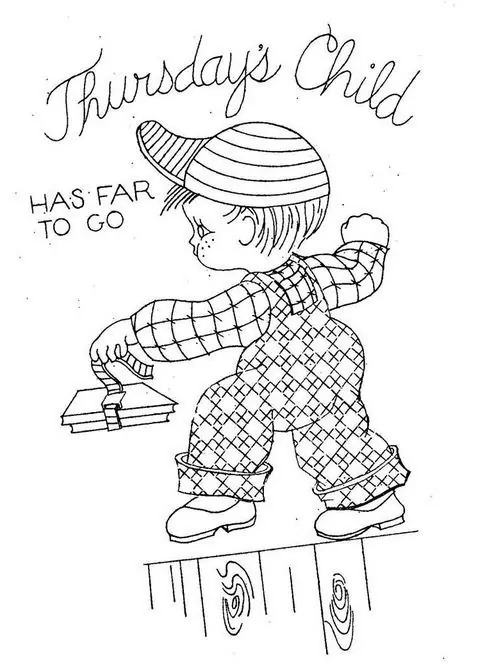 Sometimes “hard” is interpreted as difficult or struggling. However, traditional versions view hard work as a positive trait, as opposed to “lazy”, indicating Saturday’s children are passionate about their work and make lasting contributions to the world. 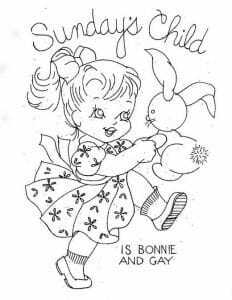 And the child that is born on the Sabbath day is Bonny and Blithe, and Good and Gay. The original version of the nursery rhyme actually refers to Christmas Day, rather than Sunday. Christmas (December 25th) was traditionally the luckiest day of birth. 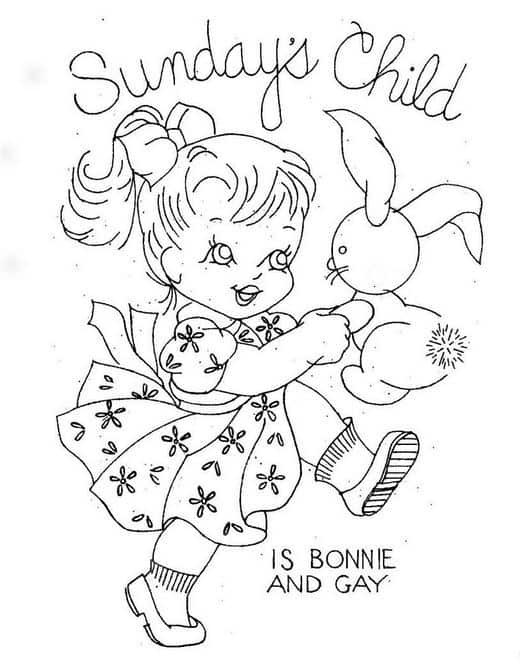 Monday’s child is ill, I’m told. Tuesday’s child has caught a cold. 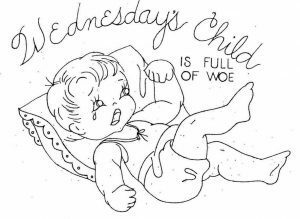 Wednesday’s child is down with the flu. Thursday’s child is feeling blue. Friday’s child can’t eat any food. 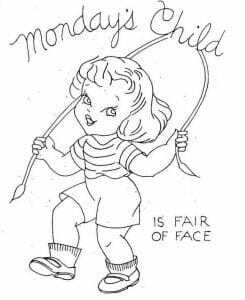 Saturday’s child is in a foul mood. Is the only child that feels okay. Tuesday’s child won’t use the potty. Thursdays child will not be fed. 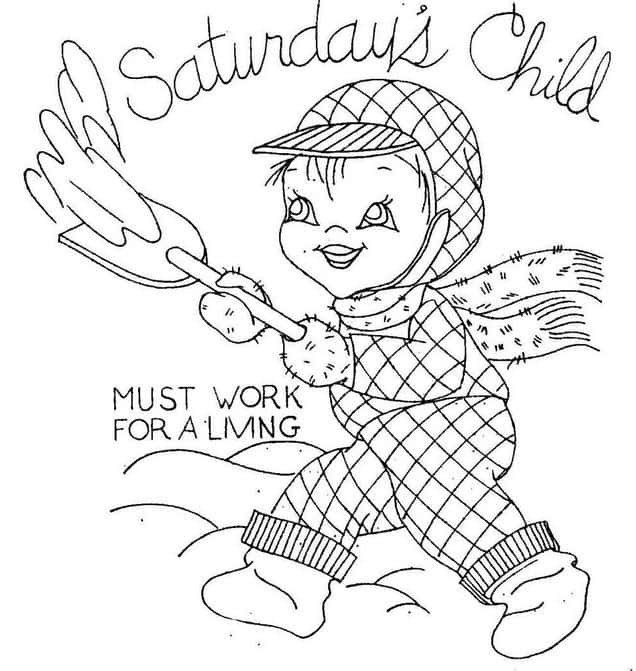 Saturdays child makes an awful noise. Is a pain in the neck like the rest, OK! LOVE ANIMALS? THEN YOU'LL LOVE THESE!